If you’ve always wanted to get straighter teeth but have not been able to face the idea of wearing braces fixed on the front of your teeth, then you will be delighted to know that there is another way. Invisalign has been one of the most popular ways for people to get their teeth straightened since it first came on the market in the late 1990s. Since it first appeared, more than 4 million people have used Invisalign to straighten their teeth. You may not have noticed because Invisalign is so discreet that it’s pretty much invisible. Instead of metal brackets glued to your teeth with wire strung through them, you have a series of aligners. These aligners resemble very thin clear plastic mouth guards; so thin, in fact, that once they are in place, they hug the teeth so well as to become very, very hard to spot. The difference is that inside each aligner are very carefully placed bumps and ridges. These press on your teeth and in so doing, persuade them to shift out of the way to relieve the pressure. It takes 7-10 days for your body to respond by dissolving and rebuilding bone around the tooth to stop it being pressed on. What you will experience is that the aligner doesn’t fit when you first put it in, but that feeling gradually wears off over the next week to 10 days. Once the aligner feels like it fits perfectly, it’s time to start the wearing next one, which will feel like it doesn’t fit again. And on you go, moving from discomfort to comfort over and over again until you have worked your way through the entire series of aligners. Once you reach the end of your treatment, you will have beautifully straight teeth. In order to keep them that way, you will have to wear a retainer for some time afterwards. This holds your newly moved teeth in place while the new bone settles down around them. You can have a retainer bonded to the back of your teeth, or wear one that looks like a mouth guard at night. When confronted with the annoyance of crooked or misaligned teeth, sometimes the thought of wearing unsightly metal braces is even more unappealing. If you feel like you have lost the confidence to laugh and smile in public, you don’t have to let it carry on by ignoring the solutions. Having wonky teeth can have a negative impact on both your self-esteem and oral health. By going on without treatment, there is a chance that complications such as tooth decay and gum disease can occur. 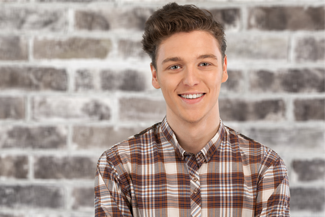 If you are seeking teeth-straightening treatments that are a discreet and comfortable alternative to traditional metal tracks, then it might be worth considering invisible braces in Berkshire. These invisible braces can be just as effective, and in some cases, take less time than traditional braces. At Old Windsor Dental Practice, one of the discreet teeth-straightening treatments we offer is Invisalign. This is a treatment which involves a series of clear aligners that are custom made to shift your teeth to their desired positions over time. In using 3D advanced technology, we are able to project the images of your future teeth so that you can see your perfect smile before treatment begins. These aligners serve as a flexible alternative to fixed braces and they are ideal for adults who wish to be subtle about their treatment. Invisalign is convenient, as you can remove the aligner before you eat, drink or brush your teeth. For them to be effective, the aligners must be worn at all other times. Just when you think that one invisible alternative to traditional braces was enough, there is another flexible treatment ready and waiting to give you your desired smile. Lingual braces are wires that arc around the backs of the teeth, so they are actually unseen by anyone during your treatment. They work to straighten your teeth over time, meaning you can be confident in your journey towards your straight and happy grin. Although treatment can cause a little discomfort, it will only be temporary. You can find comfort in knowing that you are on your way to showing a smile you aren’t afraid of, one that restores your self-esteem. If watch TV, it won’t have escaped your notice how many people have beautifully straight white teeth these days, and it’s not just the professionals. Yet, if you look at people rushing about their daily business, not so many seem to be sporting braces on their teeth. What is happening? How is everyone getting straighter teeth and yet not wearing braces? Are they having it done magically? Almost. It’s Invisalign, one of the first commercial products to come out of 3D printing. In Berkshire, Invisalign is available from us at Old Windsor Dental Practice. The brand name Invisalign sums up what this treatment is all about — invisible alignment. Rather than the traditional fixed bracket and wire braces that pull teeth into alignment, Invisalign’s inventor decided to use mouth guard-like aligners that deliberately don’t quite fit right to push the teeth into their correct positions. Invisalign treatment begins with a consultation to see if this system can correct your alignment issues. If it can, we use a hand-held digital scanner to take detailed measurements of your teeth and jaws. These go into a programme that then makes a little animation to show how your teeth need to move to be brought into alignment. You can actually see how your smile will look at the end of treatment, which is a great incentive. If you decide to go ahead with treatment, we send all the information off to the Invisalign laboratory in the US, where your series of aligners are 3D printed. Each one is a step along an incremental journey to alignment, and you need to wear it for about 7–10 days before moving onto the next one. At 0.3 millimetres thick, these clear plastic straighteners are so thin that, once they are snapped on over the teeth, they are almost impossible to spot. Plus, as they can be removed for eating and teeth cleaning, you get to carry on with life as normal throughout treatment. You do need to be disciplined about wearing your aligners for at least 20 hours a day if they are to do their job effectively. Having crooked teeth comes with lots of problems. Having straighter teeth doesn’t just make your smile look better, but it’s easier to clean your teeth when they are straight, as there are fewer places that plaque can hide away. Straight teeth tend to last longer. Here at Old Windsor Dental Practice in Berkshire, Invisalign treatment is being recommended to straighten adult patients’ teeth. In the past, if you wanted to straighten your teeth, the only option viable option would be traditional braces. Traditional braces can get you great results, but there are downsides to this form of treatment. 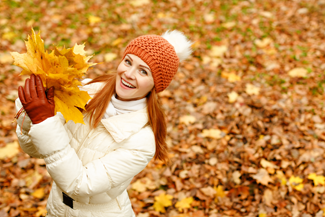 In short: Invisalign looks better than traditional braces. Many people associate traditional braces with teenage years. Conspicuous metal wires and brackets often catch food and can get stuck. This simply doesn’t happen with Invisalign treatments. When the patient is using Invisalign treatment, it looks as though they aren’t undergoing any treatment at all. When a patient chooses fixed braces, they can’t be removed without a professional’s help. At times, they can become uncomfortable. When the dentist adjusts the patient’s braces by tightening the wires on the braces, the patient can experience pain. This is sometimes such that painkillers need to be prescribed. Invisalign doesn’t have this problem as the aligners can be removed by the user whenever they choose. This makes meal times much easier and more comfortable for the user. Also, traditional braces are made from materials that can damage the gums, tongue and cheeks of the patient. This can be painful and uncomfortable for the patient. Clear aligners are made of smooth plastic that is much more comfortable to wear. Because traditional braces cover most of the tooth, it can be much more difficult to keep them clean, increasing the risk of tooth decay and gum disease. Invisalign trays can be removed when it comes to cleaning. Traditional braces, on average, take between 18 months and three years to straighten your teeth. Invisalign takes between 12 and 18 months. Invisalign’s treatment is also fully planned beforehand, so you know exactly what to expect when the treatment is complete. There has been a huge increase in demand for alternative teeth straightening treatment in recent years. Because of this surge in demand, more and more treatments are available at your local dental practice. Here at Old Windsor Dental Practice in Berkshire, Invisalign is a clear alternative to braces. Traditional braces are the most tried and tested method of teeth straightening, but come with many downsides that could put people off. Traditional braces can achieve dramatic results when it comes to teeth straightening. In the past, they were your only real option if you wanted perfectly straight teeth. Although traditional fixed appliances can achieve great results, treatment can be uncomfortable and take a long time. Average treatment time for fixed braces is anywhere between 18 months and three years. The wires and brackets used in traditional braces can scratch and damage the inside of the mouth, and adjustments can be painful, sometimes to the point of painkillers being prescribed. Another issue that adults may have with traditional braces is the visual aspect. 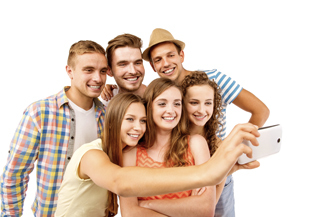 Being associated with teenagers, some adults consider braces to be embarrassing and so avoid treatment. Invisalign is a more modern treatment that involves wearing custom-moulded tooth trays. At the start of your treatment, a full treatment plan will be put together, detailing how your teeth will move. At this stage, the tooth trays are made for the whole course of treatment. Changing the tooth trays every 7-10 days is down to you and is done at home. You’ll need to return to the dentist to check how your teeth are moving. One of the biggest advantages of Invisalign treatment is that the treatment is almost completely invisible. This is possible because the tooth trays are made from a strong, clear plastic. Most people won’t be able to tell you’re having treatment. Another advantage of Invisalign is that the tooth trays are removable, making them much more practical. When it comes to mealtimes, you simply take the aligners out. It’s also much easier and simpler to keep your teeth clean, sticking to your normal oral hygiene routine. 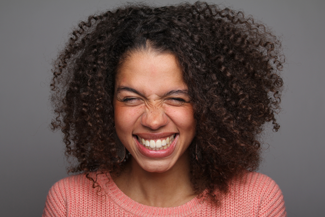 When it comes to teeth straightening, some adults can be very self-conscious about the decision to undergo treatment, and can be worried that they are starting too late or that their smile will look unattractive and unprofessional. Luckily, modern dentistry has come a long way and teeth straightening for adults has expanded significantly. You can now take advantage of many discreet teeth straightening treatments that will help you align your teeth and correct your bite without anyone noticing. At Old Windsor in Berkshire, we offer Invisalign invisible braces to make you feel confident about your smile, even during treatment. Invisalign consists of clear, removable, custom-made, plastic aligners. Unlike metal braces, Invisalign uses a series of these aligners to help move your teeth. With the aid of a 3D animation, you will be able to see each step of the treatment. Invisalign aligners should be taken out for eating, drinking, brushing and flossing, but should be worn least 22 hours per day for effective treatment. Treatment with Invisalign does not require frequent visits to the dentist. You will only need to visit your dentist every six weeks or so to check that your teeth are getting straightened as planned. Your aligners should be replaced with the next one in the series every two weeks on average. The overall course of treatment rarely exceeds 24 months, though most people have their teeth straightened within a year. Invisalign aligners are transparent, therefore, most people won’t even notice them. Perhaps more importantly, they are removable, so you can still enjoy your favourite foods and clean your teeth as you would do normally. Finally, Invisalign aligners are very comfortable since they are made of smooth plastic that doesn’t cause any irritation to your teeth and gums. Invisalign appeals to many patients since it works very well to treat mild teeth straightening cases. If you are an adult and you have the discipline to wear your aligners for 20-22 hours a day, then you are probably a good candidate for Invisalign.